For most people, the thought of having their wisdom teeth extracted induces fear and anxiety. Dr. Isaac Day and Dr. Jacob Day are pleased to offer Innisfail Wisdom Teeth Extraction at Day Dental for people with a fear of wisdom teeth extraction. Your wisdom teeth are typically the last teeth to develop. There is sometimes not enough room to accommodate the wisdom teeth which impedes their ability to erupt into the mouth correctly. 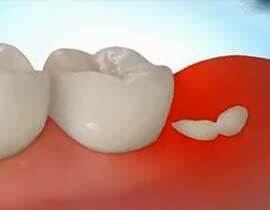 In some cases, the wisdom teeth will partially emerge through the gums and can result in cavities, crowding, or gum infections. Wisdom teeth will often develop diagonally and horizontally, causing significant problems. This uneven development may be responsible for a myriad of oral health problems which include teeth crowding and damage to the adjacent second molars. When there is not enough space for the wisdom teeth to erupt at all, they can cause pain in the gums and bone as they shift. This is known as ‘Impacted Wisdom Teeth.’ When your wisdom teeth are impacted, the opening around the teeth may become a fertile ground for bacteria to start developing and may lead to an infection in the gum tissues. As a result of this infection, you may experience discomfort, swelling, pain, and illness. The early removal of impacted wisdom teeth is often recommended to avoid future problems and to avoid costly surgical procedures. Dr. Isaac Day and Dr. Jacob Day will complete a thorough examination of your mouth, including x-rays that will help diagnose the type of wisdom teeth removal you require. Regular dental exams also help you keep your gums and teeth healthy, allowing us to identify any potential concerns to prevent costly dental procedures down the road. If your wisdom teeth are aligned properly, and the surrounding gum tissue is healthy, wisdom teeth do not always have to be removed. With our clinical exam and panoramic imaging, we can inform you if you or your child’s wisdom teeth require extraction. Your wisdom teeth extractions will take place in our Innisfail Dental Office, and the length of your procedure will depend on your specific needs. We help you feel comfortable throughout your appointment and will provide you with detailed instructions on how to care for your mouth after your wisdom teeth extractions. For all of your wisdom teeth extraction needs in Innisfail, we welcome you to book an appointment for a consultation today. We can also discuss your wisdom teeth options with you at your next hygiene and check-up appointment — just ask! We look forward to hearing from you soon. We know that your smile is important to you and ensuring that you have a positive experience with your wisdom teeth extractions is our top priority. New Patients Welcome – No Referral is Required! Call us at (403) 227-0228 to book your new patient consultation with us today! Disclaimer: Dr. Isaac Day and Dr. Jacob Day are Innisfail General Dentists. They are not specialists in Cosmetic or Family Dentistry. Cosmetic Dentistry or Family Dentistry is not a specialty recognized by the Alberta Dental Association & College (ADA&C). Dr. Isaac Day and Dr. Jacob Day provide cosmetic dental procedures such as porcelain veneers, dental implant crowns, dental bonding, and teeth whitening as part of their General Dentist license. Dr's Day provides General dental procedures for all ages within the family.